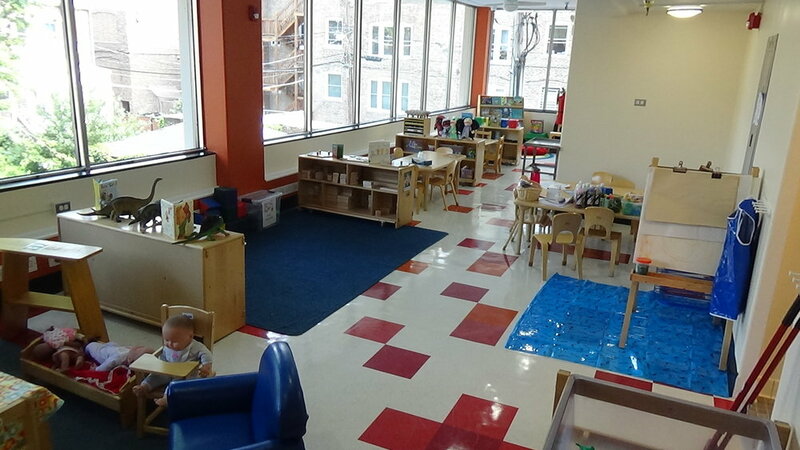 Chicago Child Care Society’s preschools in Hyde Park and Englewood are equipped with the tools, resources and professionals to help build a solid foundation for children, during their earliest years-when they need it most. Our Hyde Park preschool center is accredited by the National Association for the Education of Young Children (NAEYC) and both centers feature state of the art classrooms, accredited teachers and outdoor playgrounds. We use the evidence-based Creative Curriculum, with a focus on social-emotional learning and cognitive learning through play. We encourage students to explore new interests and embrace the unknown, preparing them for kindergarten and becoming lifelong learners. Serves children from 6 weeks to 5 years old. If you are considering enrolling a child in our Hyde Park Preschool program, click here. Serves children from 3 to 5 years old. If you are considering enrolling a child in our Englewood Preschool program, click here. — Kimberly, mother of Hyde Park Preschool student. Our Hyde Park preschool is located at 5467 S. University Ave. Here, we serve children ages six weeks through 5 years old. We offer the Head Start program as a partner of the Chicago Department of Family and Support Services. Our 7 classrooms are filled with educational toys and learning tools, featuring age appropriate centers for science, literacy, block building and construction, dramatic play and clay, paint, sand and water exploration. Our preschool center in Hyde Park is accredited by the National Association for the Education of Young Children (NAEYC) and features state of the art classrooms, accredited teachers and a large outdoor learning environment. The Hyde Park Preschool Center is a Gold Circle Quality Program as designated by Excelerate Illinois. Our library houses two computers and over 1,000 books that are available for students to check out and take home for storytime with their families. By doing so, we help close the literacy gap that exists for children of circumstance residing in low income communities. Our outdoor Nature Education Center allows students to experience the wonder of nature, life span of butterflies and the migration of birds. Students witness and learn first-hand how things develop by growing their own vegetables and using them in their meals at the Center. Our state-of-the-art playground has two sections, one for smaller children and one for larger children. The private and safe environment facilitates the development of gross motor skills and remains a place where children can play, explore, learn and thrive outside. A receptionist monitors the front door and all visitors are required to check in and show photo ID. The playground area is enclosed by a tall fence, the gates are fastened at all times. With 24-hour video surveillance and staff involvement, the center is always being monitored. We know it’s important for parents to be involved their children’s education, even in preschool. To ensure this is possible, we send home weekly progress notes, hold regular parent teacher conferences, provide parental observation opportunities and use an online parent portal site for parents to keep up with their child’s progress. We also have a Parent Policy Council, which is a group of volunteer parents who work together to support the social and academic goals of our preschools. This is an opportunity for parents to voice their concerns, meet other parents and actively participate in their child’s preschool experience. Our Hyde Park preschool is accredited by the National Association for the Education of Young Children (NAEYC) and received the state’s second highest designation of quality from ExeleRate Illinois. 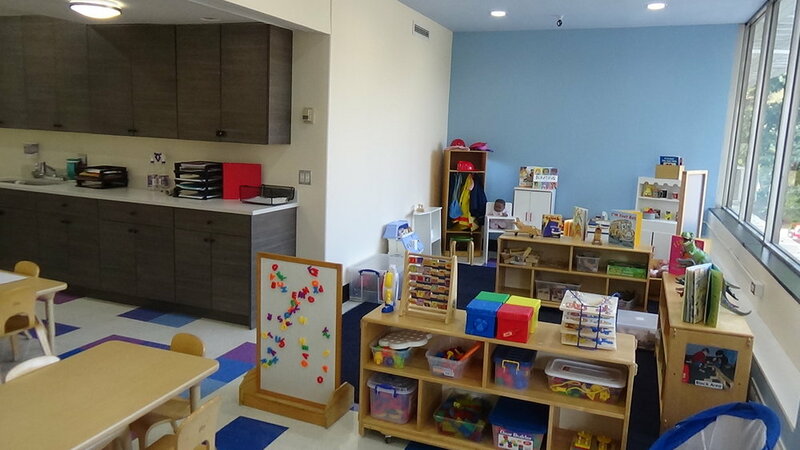 Our Hyde Park preschool center is also licensed by the Illinois Department of Children and Family Services, the City of Chicago departments including: Board of Health, Fire Department, Building, Sanitation and Ventilation. For enrollment information for children ages birth to 2 please contact Endia Sadler, Family Support Worker, at (773) 643-0452 extension 2419 or esadler@cccsociety.org. For enrollment information for children ages 3 to 5 please contact Eboni Barker, Family Support Worker - (773) 643-0452 extension 2426 or ebarker@cccsociety.org. For general information about our preschool centers or to schedule a tour, please contact Pamela Flowers-Thomas, Center Director at (773) 643-0452 ext. 2414 or pflowers@cccsociety.org. Our Englewood preschool is located at 7000 S. Parnell Ave. Here, we serve children ages 3 through 5 years of age. We offer the Head Start program as a partner of the Chicago Department of Family and Support Services. Our classrooms are filled with educational toys and learning tools, featuring age appropriate centers for science, literacy, block building and construction, dramatic play and clay, paint, sand and water exploration. Our state-of-the-art playground is a private and safe environment to facilitate the development of gross motor skills and remains a place where children can play, explore, learn and thrive outside. Our playground area is enclosed by a tall fence, the gates are fastened at all times and our building is surrounded by video cameras. Our staff remains aware of their surroundings and communicates their concerns to the Preschool Center Director of anything unusual they notice.